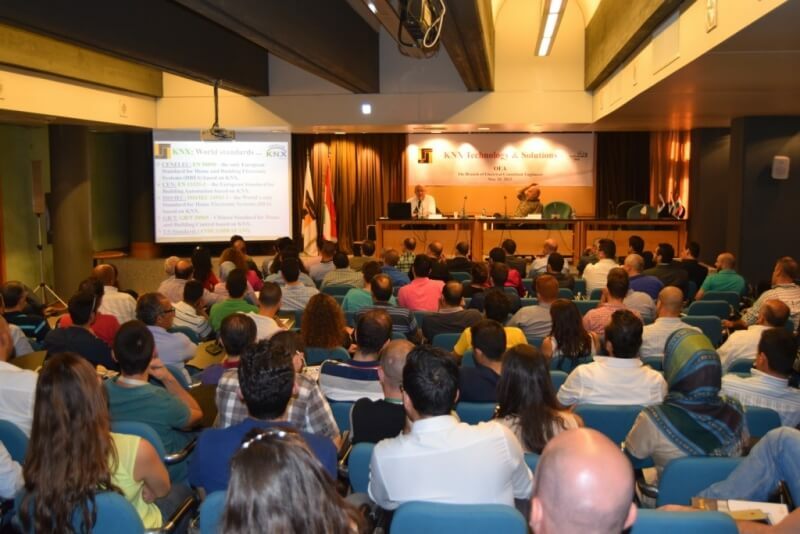 Shortly after the foundation of the KNX Userclub Lebanon and its current on-going registration process, the local association was requested to present a seminar to the governmental institution Order of Engineers & Architects of Beirut (OEA). 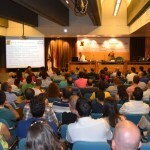 The event took place on 20th May at the premises of the OEA in Beirut. 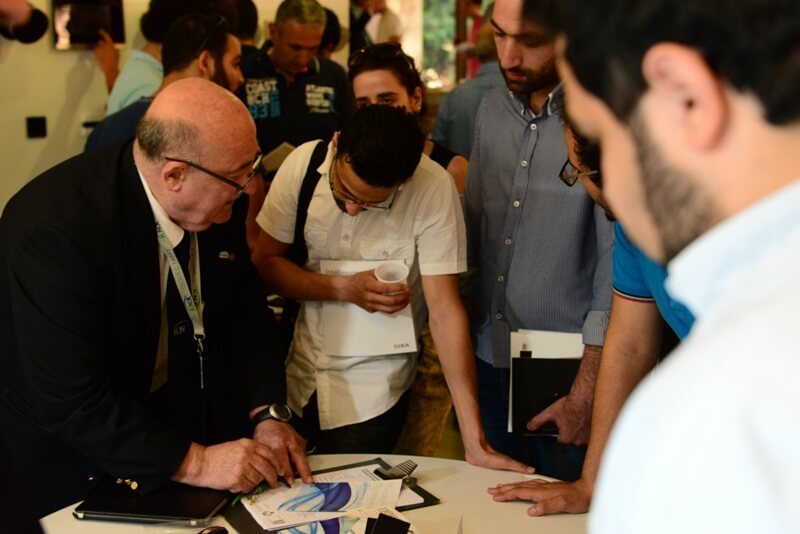 Using examples of real-life KNX installations, presentations about each KNX application area and further detailed information about KNX, were given to the audience of more than 180 participants, who were impressed by the many advantages of KNX. • KNX Technology, by KNX Tutor Partner Engineer Hrayr DANTZIGUIAN of the Building Automation Training Center. 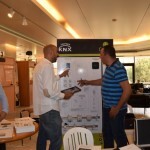 • KNX Controls through Sensors, by KNX Partner Engineer Joseph ABSI at Lightbox International SAL. • KNX Integration with Industrial Controls, by KNX Partner Engineer Youssef AZOURY at ETS. F.A. KETTANEH SA. • KNX Integration with Audio-Video and Multi-Media Systems, by KNX Partner Engineer Jad BAAKLINI at Unilux Group. • KNX and Safety & Security Networks, by KNX Partner Mr. Hagop DANTZIGUIAN at Dantziguian Hrayr Automation Systems SARL. • KNX and Centralized versus Decentralized Networks, by KNX Tutor Partner Engineer Hrayr DANTZIGUIAN of the Building Automation Training Center. • KNX Integration of Control Logic Machines for Fingerprint Access, by KNX Partner Mrs. Mona HAJJ-ABBOUD at Syspro SAL. • KNX and Integration of Energy Management Systems, by KNX Partner Mr. Munzer HOUDEIB at I Control SAL. • KNX and Integration with Building Management Systems, by KNX Partner Engineer Shehade EL-KHOURY at Khater Engineering & Trading SAL. • KNX and Integration of Lighting Networks, by KNX Partner Engineer Antoine SAWAYA at Cesar Debbas & Fils SAL. • KNX and Integration Controls for External Shading, by KNX Partner Mr. Charbel MASSAAD at Somfy Lebanon. The displays with KNX devices from different KNX members were networked into a single system to prove that KNX is an open protocol, and that certified KNX devices from different manufacturers are fully interoperable.